In Europe we’re heading towards summer which means warmer temperatures and longer days: perfect conditions to start improving your family’s health and fitness by heading outdoors. If you’ve spent the winter largely inside eating stodgy foods, watching television and playing the latest iPad apps then your body will benefit hugely from fresh air and regular exercise. Today I’ll share five simple tips to increase everyone’s cardiovascular ability and reduce bulging waistlines and increasing healthy weight loss. It’s sad how many young children are now obese or overweight through very little fault of their own; they are simply born into unhealthy, inactive families and are fed the wrong foods through a lack of education. We have no one to blame for our health except ourselves. No one is forcing you to eat the whole loaf of bread or drink two litres of fizzy cola. No one is keeping you chained to your couch. Choose fitness; choose health; choose a positive future for you and your family! Get the whole family out for a walk for 30 minutes every day. This doesn’t have to be in any fancy location or wearing the latest sportswear. Walking costs nothing! We are all capable of stepping out of our front doors and walking… If you have little children maybe they’d prefer to ride their scooter; older children may want to roller blade. It really doesn’t matter as long as the whole family gets up and moves. As your fitness level improves, start to increase either your walking speed, the duration of your walk or add in some hills or steps. 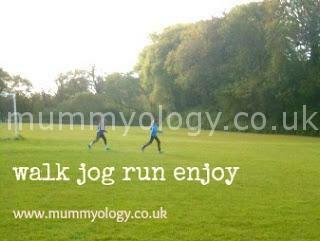 If your family is already moderately fit then incorporate some jogging or running. Suggest running between lampposts or from one end of a football pitch to the midline. Swap all fizzy drinks, fruit juice, hot chocolate, milk shakes or flavoured milk and fruit squash for simple water for ONE WEEK. 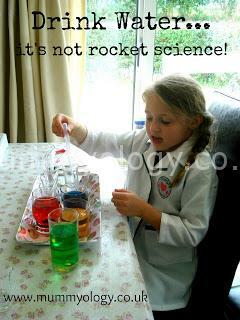 (Young children should continue with one glass of milk and one glass of freshly squeezed juice.) Adults should be aiming to drink around 2 litres every day, or 6-10 glasses (depending on the size of your glasses!) Not only will you slash hundreds (or even thousands) of calories from your weekly intake, you’ll also be hydrating your body. Good hydration means improved performance, both physically and mentally. You’ll have more energy for housework, hobbies and exercise and better concentration at school or work. A win-win situation. At the end of the week, try to maintain the two litre intake with just occasional fizzy drinks and diluted fruit juice. Remember that the phosphorus in canned drinks pulls calcium from the bones resulting in a more fragile skeleton over time. 3. Increase your vegetable intake to at least 5 pieces a day. Raw carrot, cucumber, pepper and celery are great as snacks with a protein rich dip, such as hummus. Add a portion of salad to your lunch. If you’re having sandwiches, crisps and a piece of fruit, stick with that but add in a large bowl of salad first. Dark green salad leaves are best, such as baby spinach, rocket, watercress, pea shoots, savoy cabbage. Add peppers, cucumber, tomato, raw courgette (it’s delicious, try it! ), raw mushrooms (great for vegetarians instead of chicken) or any other vegetable of your choice. If you need a dressing, stick to extra virgin olive oil, lemon or lime juice or balsamic vinegar (in small quantities). For dinner have at least three different vegetables. 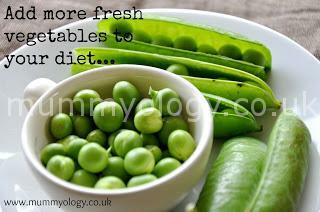 Try steamed or stir-fried broccoli, green beans, spinach, kale, peas, broad beans or courgette. Roasted vegetables are delicious too – aubergine, pepper, tomato and courgette with sweet potato and squash. 4. Make your everyday activity more active! It’s been said many times before but little things like walking two flights of stairs instead of taking the lift, or getting off the bus one stop earlier, all make a difference to overall calorie deficit (i.e. the energy you use up from the food you eat.) 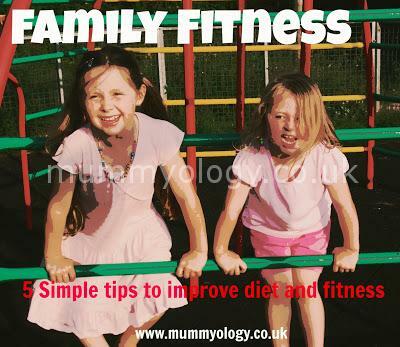 Here are some other ways to increase your family’s fitness: Draw up a housework or tidying up rota – that way everyone does a little bit more exercise and in my experience, if you give a child a hoover or a duster they’re more than happy to act grown up! If you live close enough, start walking to and from school (or one way at least). 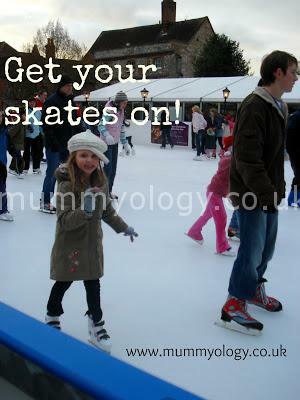 Make dates on the calendar for family days out. If money is an issue, start with inexpensive trips to the local park with a picnic or the beach (save up small coins in a jar over the month and you should have enough to treat everyone to ice creams!) Trips to theme parks or zoos work well as a reward for good behaviour or team work and will include plenty of activity and walking over the day. Here are some ideas for mums: Take a book to a quiet spot and spend an hour reading. Try a new dance or exercise class. Get a manicure, massage or facial. Sort out your wardrobe trying on different combinations and clothes you haven’t worn for a while; then get rid of clothes that no longer make you happy. Treat yourself to new underwear. Buy 2 or 3 really good quality chocolates and save them for a moment when you can savour every mouthful, in peace. Children should be allowed some free time to just be. No reminding them to tidy their room or finish homework. 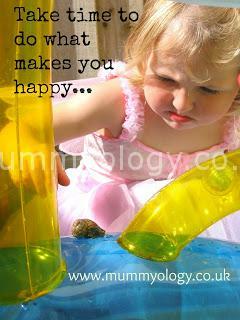 Let them go off into the garden, bounce on a trampoline, roller blade, play with mud and worms or whatever they enjoy. Let your child’s spirit flow free – you’ll feel a real sense of pride seeing your child glow with contentment; a welcome change from door slamming and cheekiness! A happy, positive outlook will make any fitness or healthy eating plan far easier to follow! As always, I’d love to hear your comments and feedback.